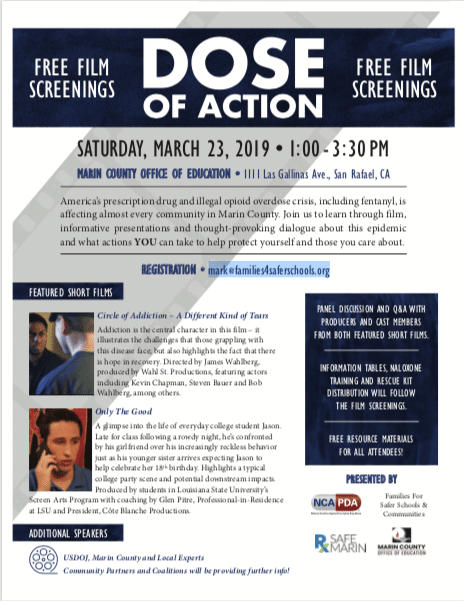 America’s prescription drug and illegal opioid overdose crisis, including fentanyl, is affecting almost every community in Marin County. 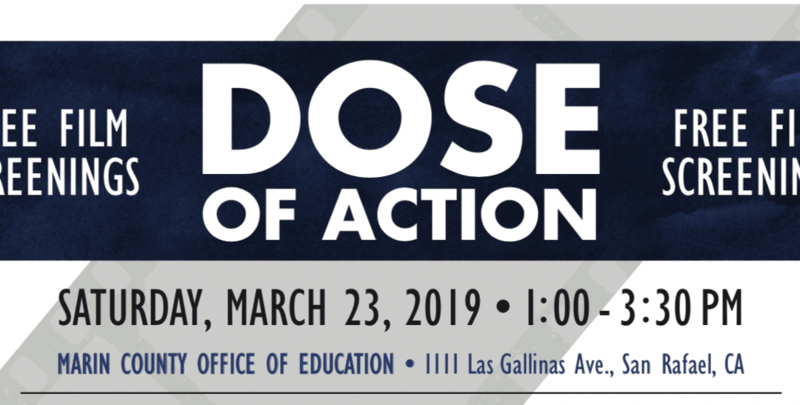 Join us to learn through film, informative presentations and thought-provoking dialogue about this epidemic and what actions YOU can take to help protect yourself and those you care about. Addiction is the central character in this film – it illustrates the challenges that those grappling with this disease face; but also highlights the fact that there is hope in recovery. Directed by James Wahlberg, produced by Wahl St. Productions, featuring actors including Kevin Chapman, Steven Bauer and Bob Wahlberg, among others. Screen Arts Program with coaching by Glen Pitre, Professional-in-Residence at LSU and President, Côte Blanche Productions. Community Partners and Coalitions will be providing further info!